Most people see relationships as dynamics between a man and a woman interacting and growing together. And while this is true, it’s not the full picture of what relationships are supposed to do. A relationship, in its purest sense, is two or more individuals with similar worldviews coming together for a common purpose. Well this means that a relationship spans any dynamic you have with anyone in your life. It could be one with your best homie or your “BFF”, your parents, siblings, co-workers, churchmates, or with a significant other. We have to understand how all of these relationships work in order to have balance in our lives. While we have defined relationships, a healthy relationship is a relationship where all parties are giving each other the love, attention, and respect in the spirit of friendship with no strings attached. The love is the central issue. The love context fuels attention or respect. We can liken this to either a mother picking up a crying infant in the wee hours of the morning, or one friend giving counsel to another who appears to be lost in a distressing situation, uplifting and encouraging instead of pointing fingers. When this happens, the appropriate values flow, everyone in the relationship grows, and the oneness of the relationship flows like it should. And the relationship’s purpose, reached. And if you feel like loving children and being a good friend is elementary, go read the news. Mothers are choking infants and people are stabbing each other over Facebook arguments. Facebook arguments? You had better believe it; there’s not a lot of love out there. And that’s no good. The reality of the matter is that things like this should be “common” sense. But loving your neighbor as your own flesh with no strings attached has become very uncommon these days. It’s saddening. Therefore we must turn to a greater standard for loving one another. One where we serve as opposed to demanding service. But What About My Relationship with my Significant Other? I’ve gotten a little bit into what I intended to discuss, but whatthelove.org is a website for romantic relationships. So why is this here? To reiterate, all relationships are connected. However, all relationships are connected in this way: to the extent that our relationships function appropriately will determine how well other relationships function appropriately. This means that we understand what the relationship is doing and our role in it, in the spirit of service and friendship. And friends disagree sometimes, but maintain peaceful oneness without arguing. And peace makes everything better. For next time: Would YOU date someone who complained about their mother? Father? Co-workers? Their career? Would you consider them peaceful? 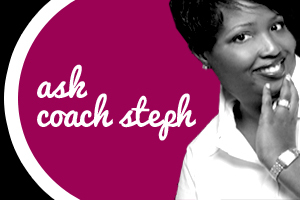 Coach Steph Note: Welcome our newest LIVE guest writer, The Professor! We are glad that he is willing to bring some different perspectives to WTL! Welcome! Welcome! Welcome!